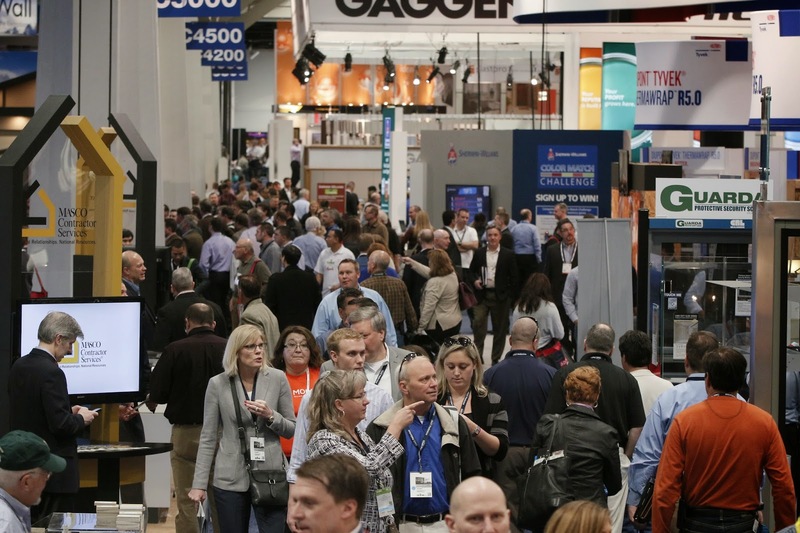 Each year, Americhem’s Architecture business team visits the International Builder’s Show (IBS), held annually at the alternating venues of the Las Vegas Convention Center and the Orange County Convention Center in Orlando. This year’s show in Las Vegas has been encouraging to everyone in our delegation. Traffic and exhibitors are both on the rise and the halls are as busy as we’ve seen them for the past several years. The building and construction market is improving, and even though it was one of the last industries to come back to its pre-recession levels, all of the exhibitors here seem bullish on the future. We’ve visited each of our customer’s displays and many more. Each and every customer we've talked to said that business at this show has been great. The show also takes up much more real estate this year. There are three full exhibition halls and some outside exhibits. Shows in the recent past struggled to fill one and a half halls. The booths of many of the major suppliers are also bigger this year. Another factor in the show’s growth is the addition of the Kitchen & Bath Industry Show which is co-located with IBS. We didn’t notice a lot of new products amongst the exhibits, although one of our customers was launching a new PVC deck board which looks to our team like the best impression of natural wood to date in a PVC board. During day one of the show on Tuesday, one of our customers said that there were so many people in their booth that you couldn’t move and today was just as packed. Even the monorail on the Las Vegas strip was so full that we had to take a cab to the show this morning. We had several people making their first visit to the show and they’re first impressions were interesting. Account manager Stefanie Holtham said, “Of all the trade shows I’ve ever been to, this was the most informative. It’s a great place to learn about the building and construction industry.” Account manager Mark Juve liked the professionalism of the booth displays, many of them containing interactive elements. Companies like Ply Gem invested heavily in their displays and Ply Gem’s booth appeared to be the largest booth in the IBS portion of the exhibition. We were pleased to see our customers’ products that displayed Americhem technology – even the deck on one of the model homes outside featured color and additive solutions from Americhem. If this week’s show is any indication, the building and construction industry appears poised for a great comeback in 2015. Market Segment Manager, Architecture, Americhem Inc.